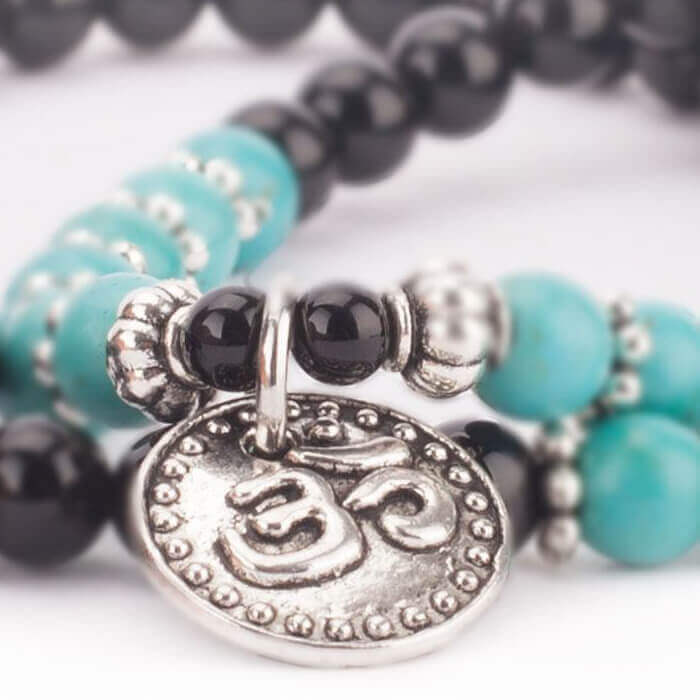 Long Mala Bracelet of Turquoise & Black Agate 6mm beads with Om Charm & Silver accents. Can be worn as a wrap bracelet or necklace. Threaded on elastic. Please note, these malas are hand made and therefore may differ slightly to those illustrated here.